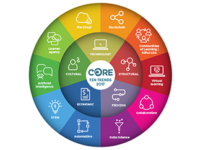 Annually, CORE Education explores ten emerging ICT trends that will impact upon the education landscape for New Zealand and beyond. These are known as CORE Education’s Ten Trends. Each month we will post an in-depth article about each trend by a champion from CORE staff. How many times have you heard students express concern that they're not able to use certain content because it is 'copyright', or felt excluded from a particular course or PD opportunity because it is too expensive, or not available to teachers in your area? The theme of ‘open-ness’ abounds in many aspects of education nowadays – largely as a reaction against the many ‘closed’ characteristics of the current system. Consider things such as enrolment schemes, copyright, student records etc. What were previously regarded as barriers to growth, access, or innovation in our system, are now being challenged or circumvented through the use of systems that are more open and participatory, allowing for greater levels of access and contribution. 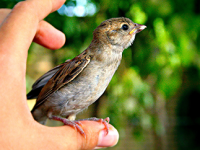 The open architecture of the Web2.0 environment has been a key driver of this open-ness. Moving from a predominantly consumer-driven paradigm to one that enables a much greater degree of contribution, participation and collaboration in the learning process. Supporting this have been changes in policy and legal issues, including the alternative to traditional ‘copyright’ that is provided under the ‘creative commons’ licensing approach. Open education resources – There are numerous examples of sites now appearing that provide resources for use in education that are not bound by traditional copyright licenses, and can be used freely for educational purposes. The adoption of the Creative Commons licensing system is an enabler of this, as discussed with Lawrence Lessig last year. Initiatives such as WikiEducator are demonstrating the power of sharing educational resources, with their aim of making lessons in all areas of the curriculum available in any part of the world. Open source/open software – many schools are now using a variety of open-source applications as an alternative to investing in costly, licensed ones. Examples of this are ‘Open Office’, a free ‘office’ package that will import and export documents to Microsoft Word, “Moodle” which provides an open source alternative to “Blackboard”, and the Android operating system (OS) providing an open source alternative to the AppleOS or WindowsOS. Open teaching – In an experiment that could point to a more open future for e-learning, Stephen Downes and George Siemens ran an open online course in 2011 that attracted about 1,200 noncredit participants (see Online, Bigger Classes May Be Better Classes) Allowing teachers to teach students and classes irrespective of where they are located is likely to increase, and in the future we’re likely to see more ‘itinerant’ teaching take place, teachers sharing their knowledge and skills outside of traditional institutions and structures. And they’re not the only organsiation doing this – a website listing 25 universities offering open courses illustrates just how pervasive this move is becoming. Open accreditation – the concept of being able to complete classes and courses in a variety of places and through a variety of institutions, then apply to have them recognised and accredited towards a qualification is also a part of this trend. 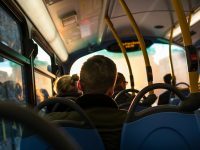 Consider these two posts: On Open Accreditation and Open Accreditation – a model. Of course, not all are agreeing with where this trend appears to be headed. Consider this cautionary view plus a response from the US government recently that illustrates that the traditional agencies aren’t going to take this laying down. Read Why SOPA could kill the educational open resource movement. How ‘open’ are the approaches to resource development and sharing in your school? What use do you make of ‘open’ content and open teaching in your school? How could access to open education options benefit your students? your staff? What processes would you need to put in place to ensure the appropriate licences are adhered to? How will you/your staff gain the experience of open teaching? How will you ensure your students gain the skills/experience of learning this way? To receive posts on these trends and other related education blog posts please subscribe to the blogs RSS feed or email notification. Thank you for sharing information about the education, it is vey much useful.